In the spring many flowers with names inspired by the native inhabitants bloom and I wanted to call attention to the history of the ranch, the original inhabitants and of course the wildflowers that will be on display during the spring Hootenanny. I created a headdress from a flower named “Indian Blanket” and placed it on a Native American that is an “iconic” representation created from multiple composited images. One of the tricky aspects of screen printing is understanding how to manipulate the application of inks to allow for photographic looking images as well as provide as much depth as possible with limited resources. I exploited the limitations of screen printing when creating the illustration and I generated my own half-tone screens in addition to using traditional screens. 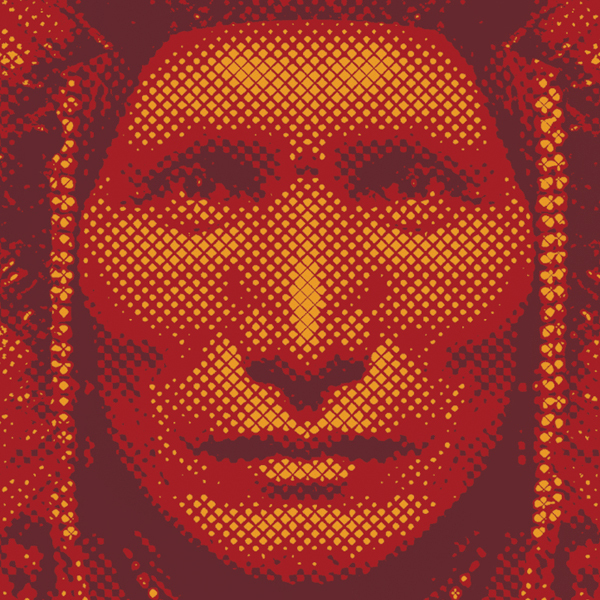 The face of the native american was built over several steps of combining halftone screens with one another in order to achieve the interlocked diamond pattern that appears in the yellow ink. Another signature element to this design that I love to utilize in the Hootenanny shirt designs is to use the shirt color as a primary design element in order to create detail within the overall design. 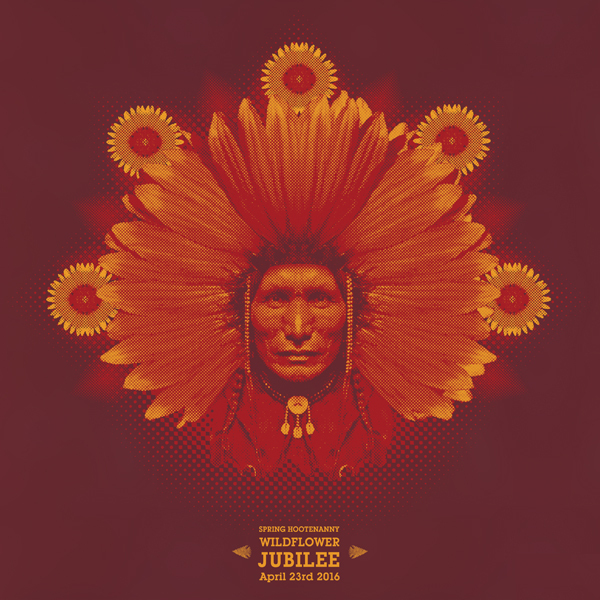 This was budgeted to be a 2 color shirt, so I based the colors on the Indian Blanket flower and went with the darkest red available for the shirt. 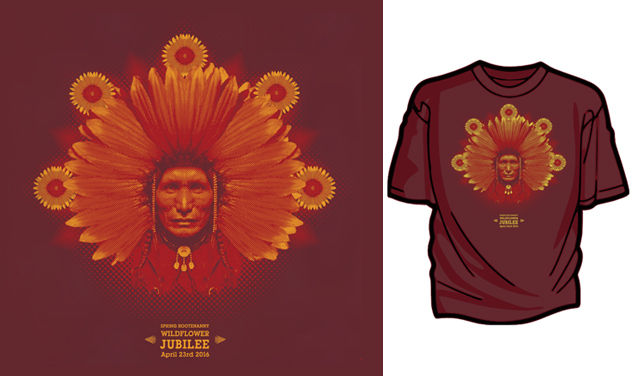 Warm red and yellow inks were chosen to give the feeling of a late evening sun position on the final graphic.